Looking for... Kansas City Singles Events, Kansas City Singles Dances, Kansas City Speed Dating, Kansas City Singles Groups, Kansas City Singles Resources, Kansas City Singles Activities, Kansas City Singles Networking Opportunities, Singles Dining Clubs, Events for Christian Singles, Jewish Singles and Mature Singles in Kansas City, Kansas City Singles Parties, Opportunities to Meet Singles, Find Clubs and Dating Sites, Social Events for Singles in Kansas City, Local Singles Dating Opportunities... Single Dating Sites... Single Women... 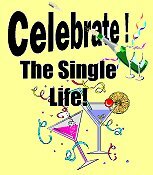 Single Men... and the Kansas City Singles Dating Scene ... and are tired of Singles Bars and are looking for nightlife in Kansas City... well, you’ve come to the right place. Whether you're a Single Woman or Single Man this is your gateway to Singles Events and Activities in Kansas City. It doesn't matter if you're looking for Speed Dating in Kansas City, or just plain old fashioned Singles Dining - Singles Dance or Singles Social Events... this is the place to come. You might even find organizations for Christian Singles, Jewish Singles, and Mature Singles... as well as Networking Opportunities... and a whole lot more. Isn't it about time you got out of the house and lived it up a little?... here's your chance! The Wine/Dine/Nightlife and Singles Meetup - This group offers an opportunity/excuse to get out and meet some new people, have some fun, experience new places. Kansas City Ski Club - Though not exclusively for Singles, this organization nevertheless has lots of single members and holds numerous social events. Maybe you'll meet your mate on the slopes! The Des Moines/KC Singles Meetup Group - A social and activity based group that offers a relaxed way to make new friends, and participate in various activities. Kansas City Social Club - Though not strictly for Singles, this group is for anyone who would like to hang out and get together with others that like to have fun eating out, going to bars, listening to music, dancing, outdoor recreation and meeting new people. ODV Wine Tasting - Their monthly happy hours offer a casual setting to taste-test wines at some of Kansas City's newest and most unique dining venues. A great way to socialize and meet new friends. Singles Available for Community Service - For singles who would like to be involved with a group that is doing something good for the community.